Manage SSH sessions simultaneously on multiple systems. Bastillion is an open-source web-based SSH console that centrally manages administrative access to systems. A bastion host for administrators with features that promote infrastructure security, including key management and auditing. Try a demo of our web-terms! This software is free for limited use under the AGPL licence! For &dollar;25 per year, you can subscribe to use with an unlimited amount of systems or users.  Our software is also available in the AWS Marketplace! Visit us in the AWS Marketplace, making it easy to get started with an SSH console for AWS! Feel free to reach out to Loophole, LLC.